Bilateral means "on both sides". The term is derived from Latin, "bi" means two, and "lateral" means to the side. In medicine, bilateral it refers to both sides of the body or two of something. Bilateral ankle fractures would mean both ankles are fractured. Bilateral inguinal hernias would mean that both inguinal areas, left and right, have hernias. Many things in the human body are bilateral, as our bodies are frequently mirrored images on the left and right. The heart is a notable exception, as are the liver, gallbladder, and pancreas, but even the brain has halves that are mirror images. Medical problems often affect both sides of the human body, but this is not always the case. For example, if you have plaque building up in the blood vessels in one leg, it is likely that you have bilateral plaque. Accidents and trauma are less likely to be bilateral problems. Good things can be bilateral as well, such as when a provider listens to your lungs and says they are "clear bilaterally." This means that both lungs sound as they should. The opposite of bilateral is unilateral, which means "on one side". So if a patient has one broken ankle, it would be fair to say that they have a unilateral ankle fracture. One could also have unilateral pneumonia, meaning that only one lung is affected by the illness and the other is functioning well. 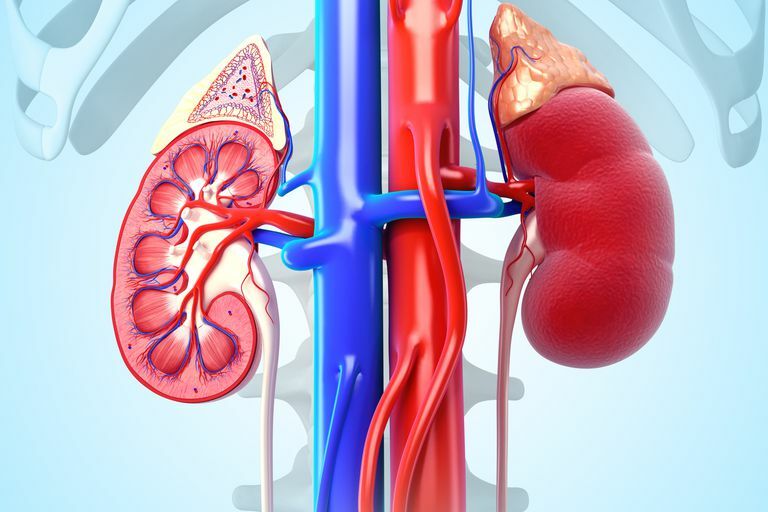 The patient was diagnosed with a bilateral kidney cancer, but a bilateral nephrectomy, or surgery to remove the kidneys, would mean that the patient would be on dialysis the rest of his life unless he obtained a kidney transplant. By performing bilateral carpal tunnel release procedures instead of unilateral procedures on different days, the patient only had to go through one recovery period instead of two. The patient was planning to go to a rehabilitation facility for a few weeks after surgery, both of her arms were in casts after her surgery to repair bilateral fractures, so she would need assistance to care for herself and take care of her basic needs. Many patients choose to have a bilateral joint replacement instead of a unilateral procedure followed by a second unilateral procedure a few months later. This is because they are able to recover one time rather than two times, and only require anesthesia for one procedure.